Designed using the traditional Wolves colours, we merge your chosen name into the design, along with the 'Eat Sleep Drink' slogan. 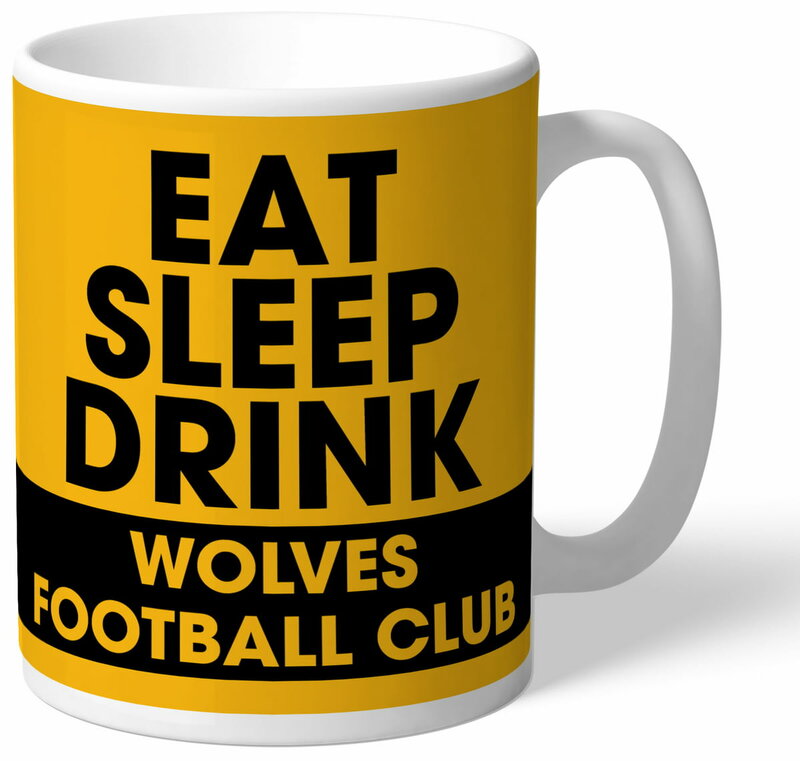 A fab and unique mug that any Wolves fan would be proud to own! Our Wolves mugs are dishwasher and microwave safe. Our personalised 100% Wolves mug is a great present for any Wolves fan! 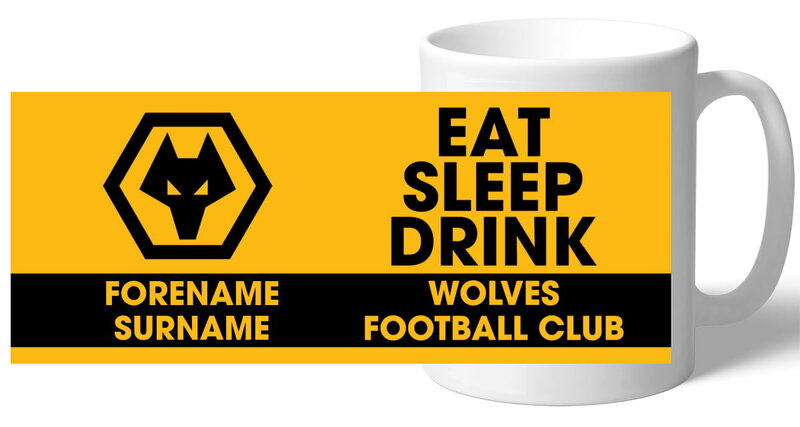 Our personalised Street Sign Mug is a fabulous present for any Wolves fan and is approved and fully licensed by the club. One of our best-selling Wolves gifts of all time, this personalised dressing room mug is the ultimate must-have for any Wolves fan.